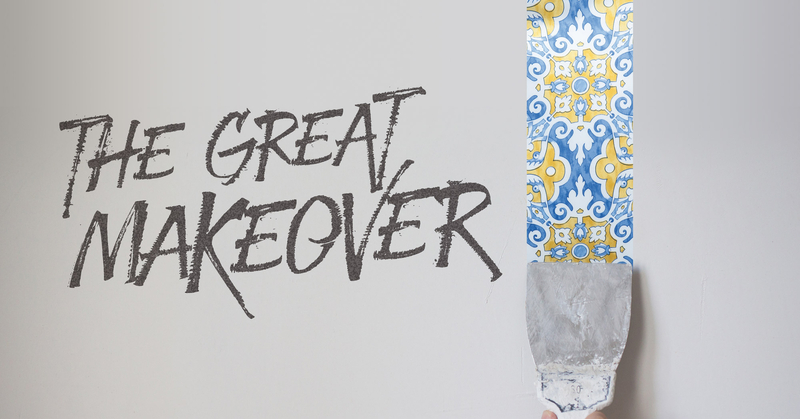 Who doesn’t like a good makeover? Whether it’s a person getting a total style transformation, a home getting new renovations or an old classic car getting a new chance to hit the open road, there’s just something about that before and after that we can’t resist. It’s inherent in our nature to want to see that big reveal — to see what’s next. But I think the real reason we love makeovers so much is because we secretly (or maybe not so secretly) desire a little taste of change ourselves. A makeover is a fresh start, a new beginning, a rare chance to improve our lives in some way — and who doesn’t want that? The person getting a makeover looks prettier, younger or more professional, the car looks like it did years ago and in the case of the home makeover, tired uninspired rooms becomes someone’s new favorite space. At Schweitzer Linen, we’ve been helping people makeover their bedrooms and homes for over 48 years. We believe everyone deserves to experience the incredibly positive effect a makeover can have on our surroundings and psyche. And with our premium fabrics, one-of-a-kind designs and unwavering passion for our customers, we want to help you makeover your bedroom at an affordable price. In the TV shows, someone is often given a makeover using makeup and highlights to accentuate all of their positive features and draw attention to those things that make them naturally beautiful. This is the same idea for your bedroom. Choosing the right shades and tones for your style will help reveal the natural beauty that may have been right there in front of you all along. We’ve got hundreds of different color variations for you to discover or rediscover the incredible potential of your room. It will instantly become more interesting, more attractive and even more glamorous. And since it’s been scientifically proven that colors can affect our moods, your color makeover won’t just enhance the look of your bedroom. Picking the right colors will make you feel better when you’re in it. You’ll sleep better, reenergize better, think clearer and with the right stylistic touches, your redesigned room will fill you with joyful positivity every morning. We love playing dress up with beds—and so should you. Because along with other major benefits that come with choosing the right bedding, such as superior comfort and the perfect temperature, the sheets, shams, comforters and other accessories you use to create your bedroom environment also make a fashion statement about your room. The question you need to ask yourself is “what do you want your room to say about you?” Your makeover isn’t just about altering the style; it’s finding that place that you’ve always wanted to be and getting to spend time there every day. Like any good makeover, the right small tweaks to someone’s style or appearance can produce a huge “wow” effect. Making the right changes to your bedroom decor can result in the same kind of transformation — maybe one that exceeds your wildest expectations. 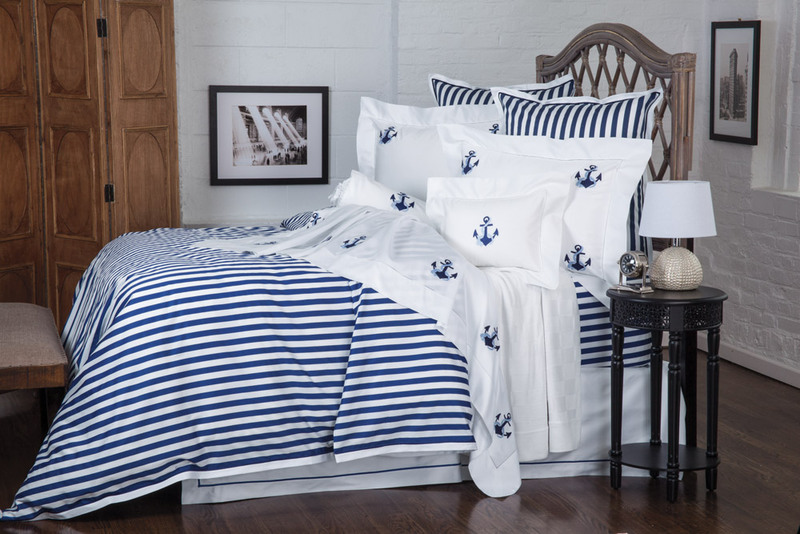 Stripes, dots, shapes and graphics, whatever you want are all here at Schweitzer Linen to make your new makeover one of the best decisions you’ve ever made. These added elements and layers can literally change the way you see your room — and how other people see you because of it. And unlike the dark side of the fashion world, where there seems to be a very select view of what colors and styles you should use depending on what’s hot at the time, your bedroom makeover is not about what others say you should like. This is all about you, the real you. How you want to feel, what makes you happy, inspired, relaxed—what makes you, you. There are lots to like about makeovers but my favorite part is the dramatic change you see in someone’s attitude after the experience. People are finally able to see themselves as they never thought they could. Feelings of insecurity or shame are replaced with confidence and increased self-esteem. What’s left is the empowering realization that now, more than ever, more possibilities are open to them. This is exactly what a makeover for your bedroom should do for you—and it’s how we want you to feel after adding some of our products to your home. By adding the right textures and shades along with our exclusive patterns and fabrics, you can reveal the room that’s always been there, just waiting to be discovered. In the right decor, you won’t just feel good about your new space, you can feel more beautiful, sexier, sophisticated; more relaxed, more confident—and for younger people, maybe it’s the first time you feel truly grown up. Just think how powerful that could be. Waking up and going to bed, in a room where you can feel these positive emotions every day is more than powerful—it is life changing. If you are ready to start your makeover, it’s as easy as checking out the hundreds of designs and many fabrics on our site. We are here to personally guide you from your before—to the perfect after, until you find the change for which you’ve been waiting.